A native annual of the Mediterranean region and, like dill (to which it is closely related), cultivated for similar use of its fruit and foliage as a flavoring; escaped along railroads and other disturbed places. 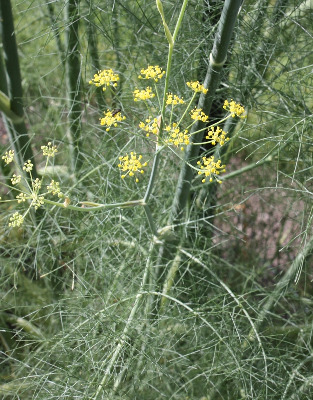 First collected in 1893 in Wayne Co.
Fennel tends to have fewer primary rays in the umbel (rarely as many as 30, while the large umbels of dill often have at least 30). The large stylopodium on the fruit is longer than the rest of the style. MICHIGAN FLORA ONLINE. A. A. Reznicek, E. G. Voss, & B. S. Walters. February 2011. University of Michigan. Web. 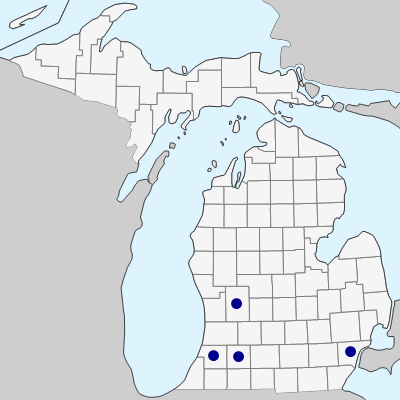 April 26, 2019. https://michiganflora.net/species.aspx?id=123.